← The 2012 Endeavour Award Scholarships are Here! 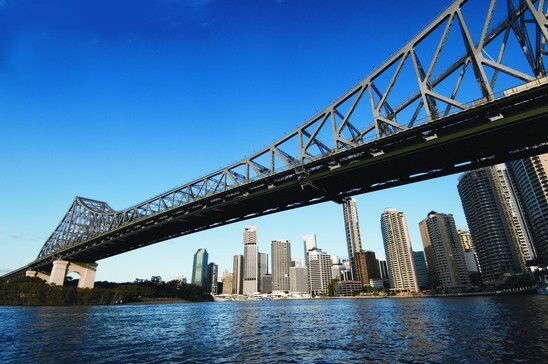 Right in the hustle and bustle of the east coast is Queensland’s capital and Australia’s third largest city, Brisbane. Pronounced “Briz-ben”, Australia’s new world city has been the nation’s fastest growing since the 80’s. Over two million people call Brisbane home. The bend of the Brisbane River creates miles of prime (and affordable) coastline. This winding river makes the skyline seem straight out of Sim City. Brisbane is said to consist of youthful, forward-thinkers. The world famous nightlife here has attracted Australians looking for a fun weekend out. The appropriately named Fortitude Valley features some of the nation’s best DJs and entertainers for what is sure to be a great night out. Day trips to Australia’s budding tourist town of Gold Coast can be reached for about $17. The population of the Central Business District has doubled over the last five years. With such a growing influence in the world, this city has become the largest economy between Sydney and Singapore. Classified as a World Beta City, Brisbane ranks with Perth in global influence. Whoever does these world rankings seems to love Australia. 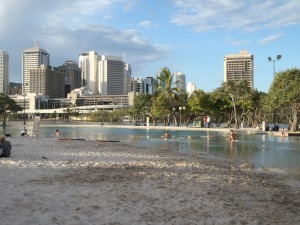 Brisbane is the 16th Most Livable City in the World as well as the 22nd best student city in the world. The QS Top 50 University of Queensland campus is based in Brisbane. Griffith University has above world standards Physical and Earth Science programs here according to the ERA 2010 Report. Also the Queensland University of Technology has Australia’s highest ranked Informational/Computer Science and Language/Communications programs. The Australian Catholic University, Central Queensland University, James Cook University, University of Southern Queensland and the University of the Sunshine Coast all have local campuses as well. If you don’t decide to study in Brisbane, it is really worth a weekend trip. This is said to be the most vibrant and laid back Australian city. Since that seems to be the reason WHY so many of you want to study Down Under then shouldn’t you get the full effect? Since there are world class universities in Brisbane, many students would wish to complete their higher learning in this city. However, for many students the cost of studying in a foreign country is always a constraint. Due to this reality, universities in Brisbane should have sponsorship or scholarship programs that support needy but talented students to get the chance of studying in some of their world class institutions of higher learning.